From monitoring your health to screening for illnesses, general adult medicine is vital to the medical community. An internist, Dr. Josier Nisnisan of Royal Oaks Medical Home and Wellness Clinics specializes in the treatment and prevention of diseases in adults. With locations in Houston and Sugar Land, Texas, Dr. Nisnisan has over 20 years of experience treating diseases and promoting wellness. What is general adult medicine? Sometimes called primary care physicians (PCPs) or internists, doctors who practice general medicine specialize in the long-term diagnosis, treatment, and prevention of diseases and are often the primary contact for an adult’s medical needs. Dr. Nisnisan conducts annual medical physicals, where he can monitor your health and administrates preventive medical screenings. These doctors also treat patients with chronic and complex diseases and may have to engage in medication management. What conditions are treated in general medicine? Dr. Nisnisan also provides preventive medicine. This may include counseling on lifestyle habits, such as encouraging you to quit smoking or discussing the impacts of a high-sodium diet. Preventive care may include testing or screening for certain conditions, including cancer, STDs, or heart disease. It may also include immunizations. What is a typical first-time appointment like at Royal Oaks Medical Home and Wellness Clinics? When you have your first appointment with Dr. Nisnisan, he will review your medical history and may ask you questions regarding your current health, including whether you’re experiencing any specific issues. He’ll also review your medications. If you don’t know your medications by memory, be sure to bring a list. Dr. Nisnisan may also recommend testing or lab work. Through blood and urine tests, he can look for any health issues, like high cholesterol or kidney function. Other tests, like mammograms or colonoscopies, may be part of your preventive care plan. 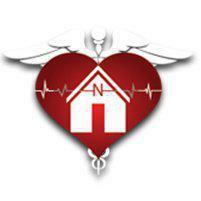 If you need a general medicine doctor, Dr. Nisnisan is currently accepting new patients. Call to discuss your issues or schedule your appointment online.